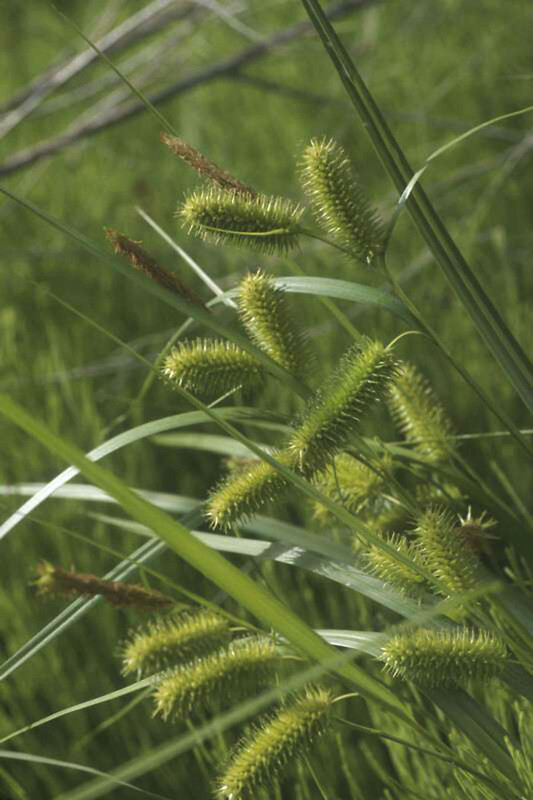 Porcupine sedge is common on calcareous substrates on lake and stream shores and wet meadows. 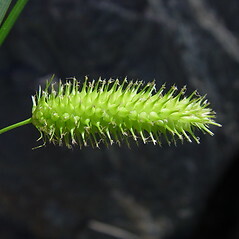 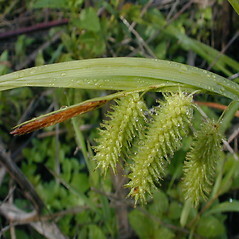 It can be distinguished from the similar sallow sedge (Carex lurida) by having smaller perigynia (4.5–7.3 × 1.4–2.1 mm versus 6.5–10.8 × 2–3.5 mm in sallow sedge). 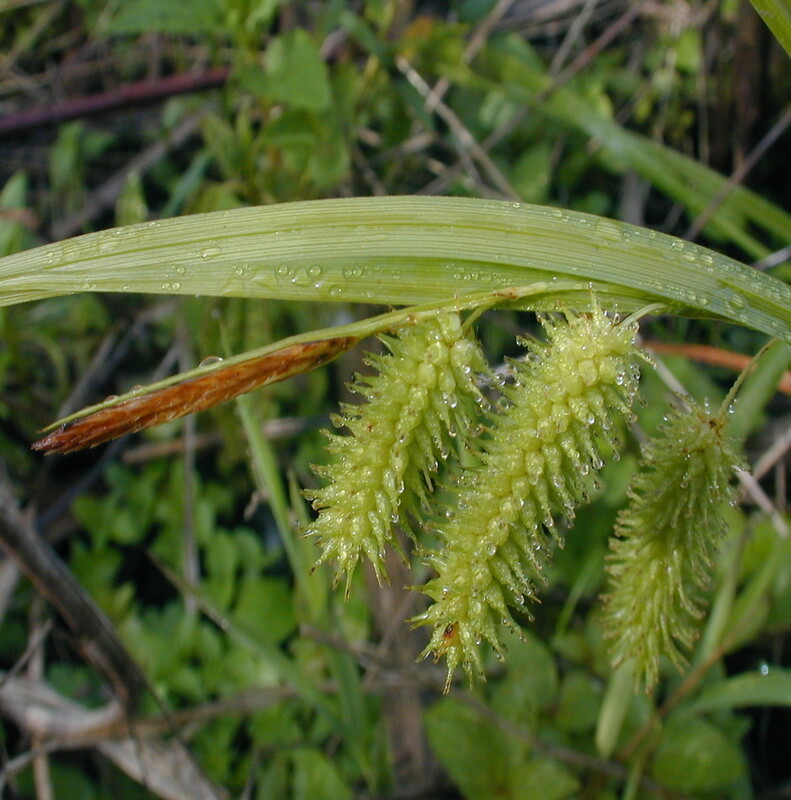 Porcupine sedge can be distinguished from bearded sedge (C. comosa) by having teeth on the beak of the perigynium that are both shorter than those of bearded sedge (0.3–0.9 mm vs. 1.3–2.1 mm), and straight rather than outcurved. 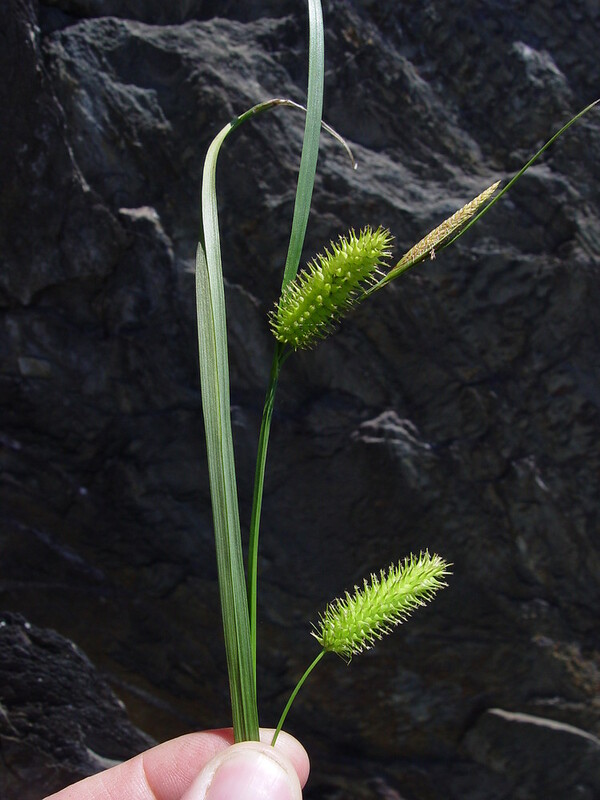 perigynia with 5-12 veins that remain separate nearly to the apex of the beak, mostly 2-4.2 mm wide, and achenes papillose (vs. C. hystericina, with perigynia with 12-15 veins that converge near the base or middle of the beak, 1-2.2 mm wide, and achenes smooth). 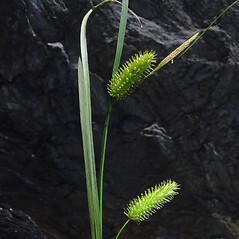 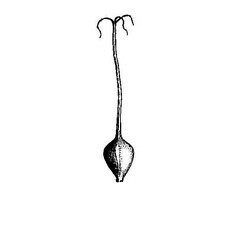 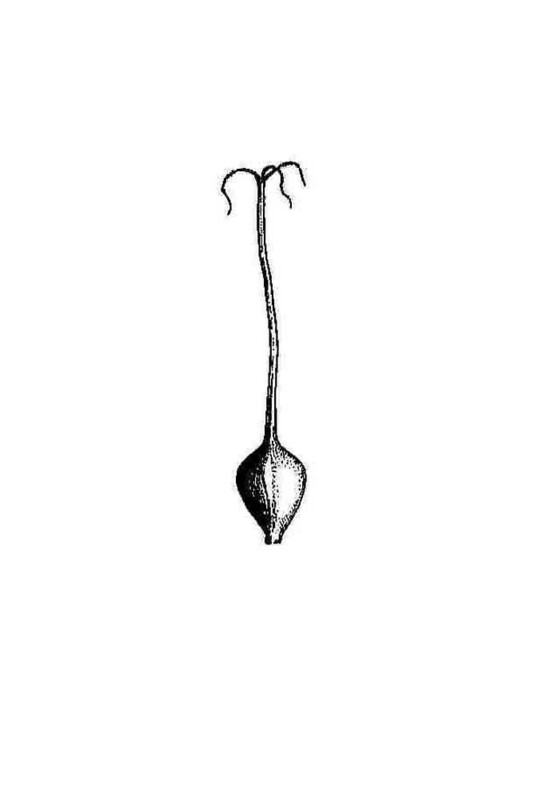 stems produced singly or a few together from elongate rhizomes, perigynia with 7-11 veins, and staminate scales acute to acuminate at the apex or sometimes the lowermost scales with a short awn tip (vs. C. hystericina, with stems cespitose with short rhizomes, perigynia with 12-21 veins, and at least some of the staminate scales with scabrous awns). 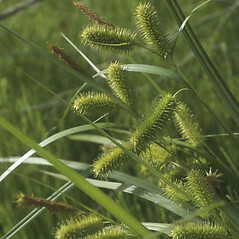 porcupine sedge. 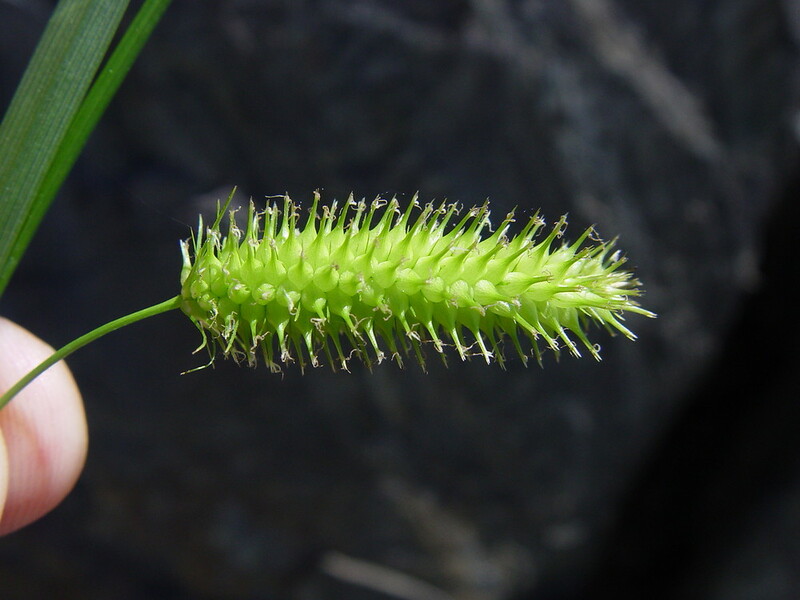 CT, MA, ME, NH, RI, VT. Lake and stream shores, wet meadows, fens, calcareous seeps, ditches.